It’s been just four business days since the Milwaukee Brewers played their final game of the 2013 Major League Baseball regular season. A number of transactions — both at the 40-man roster level and elsewhere in the organization — have happened so far this week, so here’s a full “recappening” to make sure you’re up to speed. I include my tweets about the bullet items to illustrate that the best way to get this information quickly is to just follow me on Twitter (@BrewerNation). RHP Arcenio Leon was signed to a 2014 MiLB contract (but it would be announced officially by the team finally on 10/1). RHP Austin Blaski (21st round draft pick in 2012) retired from professional baseball. Blaski was a 2013 All-Star for the Wisconsin Timber Rattlers before an arm injury cost him the rest of his season. He had surgery and retired, no doubt, as a result. OF Eric Patterson was released. #Brewers announced that Eugenio Velez, Robinzon Diaz & Hector Gomez were signed to 2014 contracts today. All receive big league camp invite. RHP Dylan Brock (34th round draft pick in 2013) was suspended 50 games for violating the MiLB drug policy. INF Taylor Green was reinstated from the 60-day Disabled List. Green, OF Josh Prince, and RHP Nick Bucci were outrighted to Triple-A Nashville. #Brewers announce that @JoshPrince17, @nickbooch, and Taylor Green have all been outrighted to the Triple-A @nashvillesounds. The removal of Prince and Bucci from the 40-man roster opens two spots on it. It currently stands at 38. The Brewers have at minimum two players to add back in Rickie Weeks and Ryan Braun. Two spots should open when Michael Gonzalez and Yuniesky Betancourt declare free agency following the World Series. There will be some names requiring protection from the Rule V Draft that will be added as the weeks progress as well. Nick Bucci’s removal from the 40-man roster shouldn’t come as a big surprise. He was only added after last season following a breakout campaign. A shoulder injury cost him almost the entirety of 2013 (he got into one game and recorded two outs) and position him for a good amount of work. It’s significant that he was outrighted to Nashville despite never having pitched above High-A. That means that though he will be exposed to the Rule V Draft in December, any team selecting him would need to add him to their MLB roster and keep him there the entire 2014 season. That’s quite frankly unlikely to happen. Kyle Lohse was officially scratched from his next scheduled start with what was described as “elbow irritation” by the team. They said it was minor, that they aren’t worried and that Lohse is penciled in to make a start against Minnesota next week. However, and understandably regardless of what they said, Lohse underwent a precautionary MRI to determine whether there was any structural damage to the elbow. It was reported that the elbow is “structurally sound” but that the areas of inflammation causing the irritation are not to be messed with. So after pitching with this ailment for a couple of starts, rest has become a necessity. Lohse has been the Brewers best starting pitcher so far this season. Whatever it takes to get him back on the field quickly must be done. After all, they can’t afford (financially or performance-wise) for things to get to the worst-case scenario. As for the short term, that missed start — Saturday against the Pirates — will be made instead by Mike Fiers. Fiers has pitched in relief since rejoining the Brewers almost two weeks ago but was starting down in the minors after having been optioned due to ineffectiveness. Fiers began the season in Milwaukee’s rotation but was moved to the bullpen and eventually sent down after just one start. So much like last season, Fiers gets his second chance filling in for a pitcher with a balky elbow. Hopefully though Lohse will only miss one start unlike Shaun Marcum last year who missed many more than that. Speaking of missing a lot of time, we got an update on another Brewer on the comeback trail from injury, Corey Hart. Hart was recently cleared to run without restriction and began taking light batting practice and fielding grounders hit right at him. If he continues to respond well the target right now is for him to begin a rehab assignment in roughly 10 days from right now. It was also reported that Hart will make the next road trip with the Brewers to continue preparations for that assignment. It’ll be a long enough rehab stint to hopefully have Hart firing on all cylinders when he returns. It was learned that Tom Gorzelanny threw live batting practice this week and could return to the roster as early as tonight. (Stay tuned!) The bullpen has been pitching very well lately despite his absence but before hitting the DL with shoulder tendinitis Gorzelanny was pitching key innings for manager Ron Roenicke. Chris Narveson has also begun to throw as he rehabs the sprained middle finger on his pitching hand. Narveson may throw live batting practice prior to tonight’s game and be sent out on rehab assignment soon. If you’re asking me, I’d be shocked if Narveson doesn’t ramp back up to start despite his initial role this season having been as a reliever. After all, the team said that part of the reason Narveson was in the bullpen to start the year was to limit his innings coming off of shoulder surgery. It’ll be mid-June before he’s back. He’s missed plenty of innings. The Brewers announced this morning that utility infielder Jeff Bianchi was reinstated from the 15-day disabled list where he had been since before the season started. Bianchi originally had a groin strain in spring training which forced his withdrawal from participation in the World Baseball Classic. While that had healed, he then developed hip bursitis, forcing the DL stint. The corresponding move to activate Bianchi was the optioning of Khris Davis to Nashville where he’ll be able to actually get some playing time and consistent at-bats. As I said last night at the time, Davis simply couldn’t adjust to the role of staying sharp with such irregular PT. He’s hardly alone in that struggle though. Countless players can’t adjust which is why those veterans who can flourish in a bench role, relatively speaking, continue to have such value in the game. Bianchi’s return is the first in a list of several players expected to heal and contribute to the team’s successes this season. In other words, the Brewers are starting to get healthy. The key to the timing of these additions is that the guys who have been there have kept the team within striking distance in the division. The Brewers enter play today 1.5 games behind the division-leading Cardinals, whom they face beginning tonight in a four-game series. Play well, and the Brewers will at worst remain where they’re at. But the Brewers are getting a huge boost back in the lineup for Game 2 in this series as they expect to activate third baseman, cleanup hitter, and professional batsman Aramis Ramirez on Friday. Ramirez was crucial to the Brewers success last season, especially once he overcame a slow start. He was off to a good start at the dish this year before re-injuring his knee on a slide into second base. Hopefully the games he missed will be the slow ones and he’ll hit the field running on all cylinders this weekend. And the Brewers won’t stop there. They are still awaiting Corey Hart’s return at the end of the month following off-season knee surgery and Chris Narveson’s from an in-season finger injury. Hart especially will be akin to trading for a quality player two months before the trading deadline. Hopefully he’ll shake the rust off in his rehab stint in the minors and reenter the lineup sharp. Good things are coming, Brewer Nation. We’ve been biding our collective time and the team has been winning enough. When the bats are all back in, let’s look for another nice run. Following today’s final exhibition game (a victory over the Chicago White Sox), the Milwaukee Brewers announced their 25-man roster for Opening Day. Here is the breakdown by position. 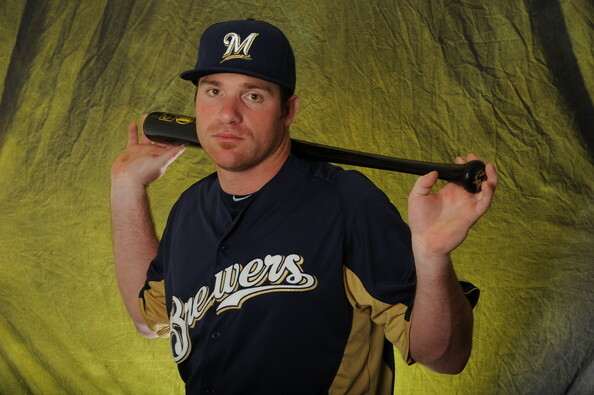 The Brewers will also be carrying four (4) players on the big league 15-day disabled list to begin the season (Jeff Bianchi, Taylor Green, Corey Hart, Mark Rogers) and one (1) on the 60-day DL (Mat Gamel). Special congratulations go out to Alfredo Figaro, Mike Fiers, Jim Henderson, Jean Segura, Khris Davis, Wily Peralta, Martin Maldonado, and Logan Schafer who are all making their first Opening Day MLB roster! 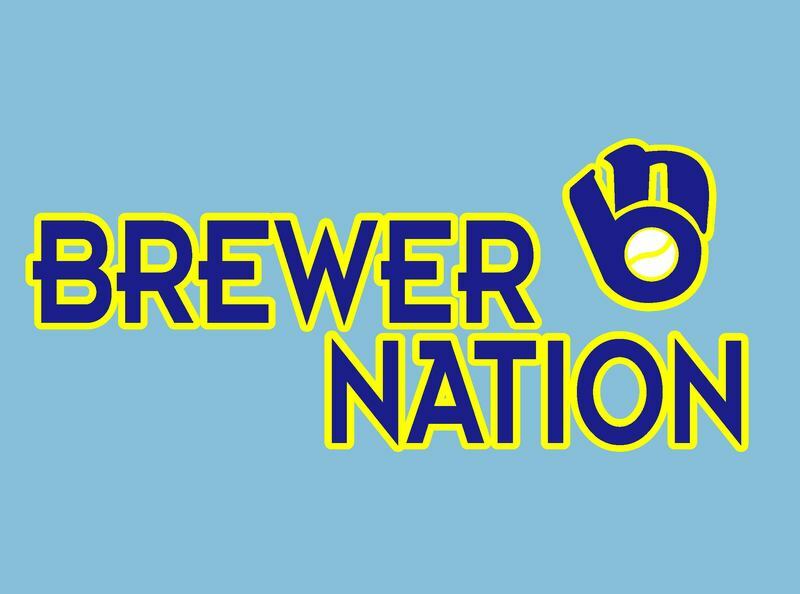 Latest Brewer Nation Podcast Available for Download! Recorded last night over dinner and during a fantasy baseball draft, my podcast partner Cary Kostka and I get you ready for Opening Day! We discuss the 25-man roster projection, lineup for Opening Day, rotation, Kyle Lohse, Yuniesky Betancourt and more! Good day to you and yours. Today is Friday, February 21st and we, together, are 38 days away from Opening Day at Miller Park. A big step happens today for the Brewers as they prepare for that Opening Day matchup against the Colorado Rockies… the annual intrasquad game. Unfortunately, today’s profile subject isn’t scheduled to start for either squad. That’d be too perfect and convenient. Well, to be fair, the perfection has been there for Christopher Gregg Narveson in his baseball life. As I pointed out last year, he didn’t lose a start in final two years of high school ball. But since becoming a professional, Narveson has experienced some ups and downs following his selection by the St. Louis Cardinals in the 2000 First-Year Player Draft. Narveson had Tommy John surgery back in 2001, was traded twice, allowed to become a minor league free agent, pitched in the Mexican Pacific League, and finally signed as a free agent with the Brewers in before the 2008 season. Making it back to the big leagues in 2009 (after a brief debut in 2006) was quite an accomplishment given his route. After two basically full seasons on the mound in 2010 and 2011, Narveson faced another down when following an outing on April 15th he landed on the disabled list pitching again. Narveson said at the time he was having trouble getting loose on game day and it was ultimately revealed that it was because of a torn rotator cuff in his throwing shoulder. Shoulder injuries for pitchers can be tricky. They are hard to overcome and unpredictable. The good news in Narveson’s case is that it happened early enough last year that by all reports and accounts so far this spring — including his own — he is throwing normally. This will be a big season for Narveson so far as his career with Milwaukee is concerned. There is a decent amount of pitching that’s beginning to reach the upper levels of the organization. Wily Peralta, Mark Rogers, Tyler Thornburg, and Mike Fiers all started games with the Brewers last year. Hiram Burgos rocketed through the minors last season pitching his way from High-A to Triple-A. So, for the 31-year-old Narveson, the time is now to prove not only health but to demonstrate effectiveness on the mound this year. Working in Narveson’s favor is his handedness — none of the aforementioned pitchers throw left-handed — and his consistency when healthy. Bottom line: Despite being capable of twirling a gem when he toes the rubber, no one is expecting the Colorado native to perform like an ace every time he pitches. Pitching every fifth day is plenty important for Narveson though as the tenets of a back-half starting pitcher are availability, reliability, and steadiness. Keeping him healthy won’t just be on Narveson though. The training staff will have to work closely with him, especially during the dog days of summer, to ensure that he isn’t throwing too much and is getting adequate rest. After all, Narveson only threw 158 pitches in regular season Major League games in 2012. With all that said, the question is: Will Chris Narveson be in the rotation when camp breaks? Since Narveson appears healthy, what the team will need to see out of him this Spring is control and command. Velocity may be down and he may have to work through a longer dead-arm period than he normally would, depending on how his shoulder responds to the increased workload. The velocity will need to be there by the end of camp for sure, but command and control are traditionally the biggest worries when a pitcher is coming back from a major shoulder injury. And make no mistake, a torn rotator cuff is a major injury. I’m on record in more than one medium that I think Narveson breaks camp in the rotation. I think having a southpaw in the rotation is a benefit. I think Narveson hasn’t performed all that well coming out of the bullpen in his time with Milwaukee, though admittedly that’s mostly based on 2010 memories as he only relieved twice in 2011. 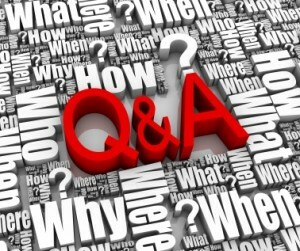 Still, 2013 will go a long way in determining the future for Narveson both in role and, to a lesser degree, in employer. Quality pitching depth is important and while I definitely don’t worry for Narveson if he’s healthy all year, it’s something to keep an eye on.